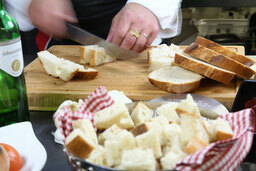 (from the previous day) into mouth-sized cubes. 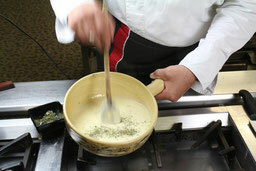 the inside of the caquelon. 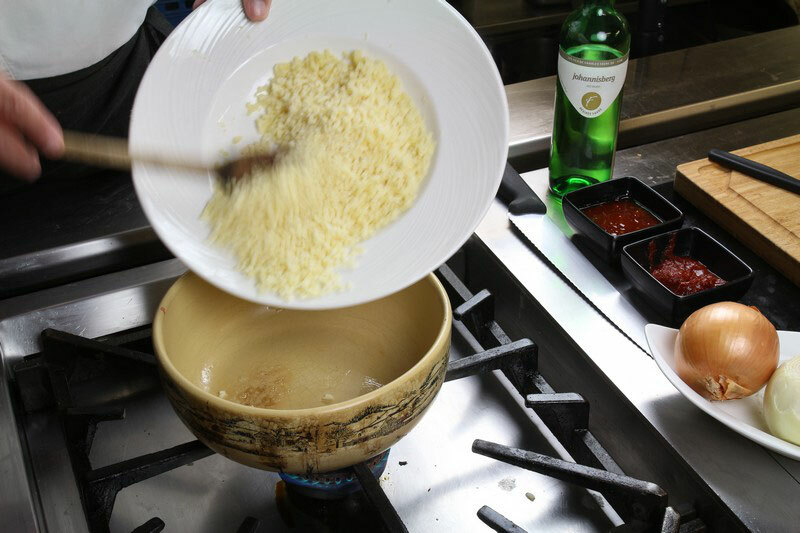 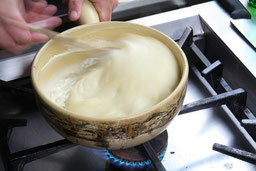 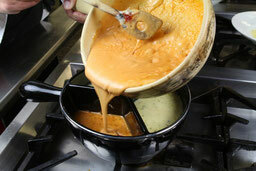 5) Stir the cheese mixture continuously until it slowly becomes creamy. 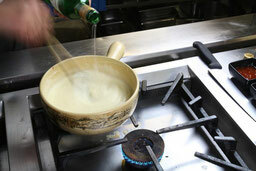 6) Add 3 dl of Johannisberg or another good white wine. 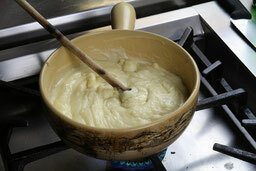 7) Transfer one third of the finished basic mixture to one of the three caquelon compartments in Les Trois Fondues. 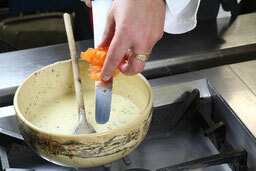 9) Stir well and then pour half the mixture into one of the two empty caquelon compartments in Les Trois Fondues. 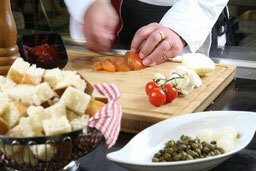 10) Dice two small, firm tomatoes. 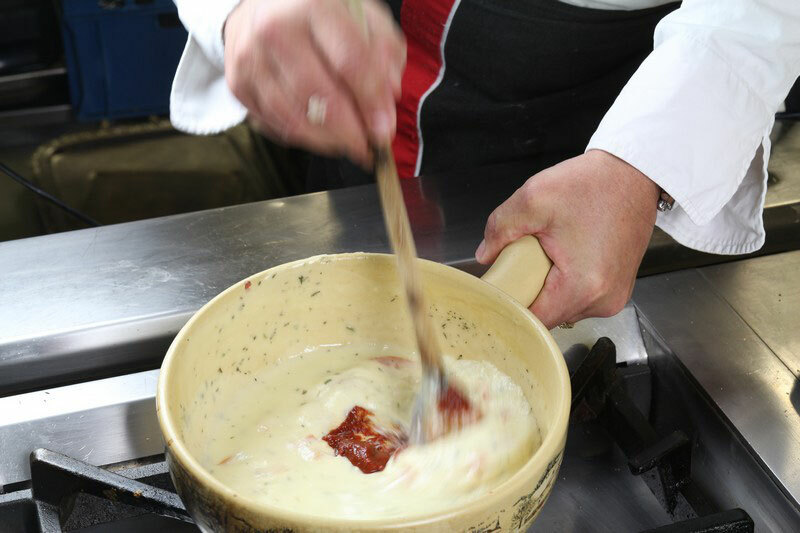 12) Add ½ dessertspoon of tomato purée and, if necessary, a little more white wine to the remaining basic mixture. 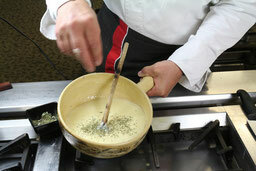 13) Stir well before pouring the third mixture into the last empty caquelon compartment of Les Trois Fondues. 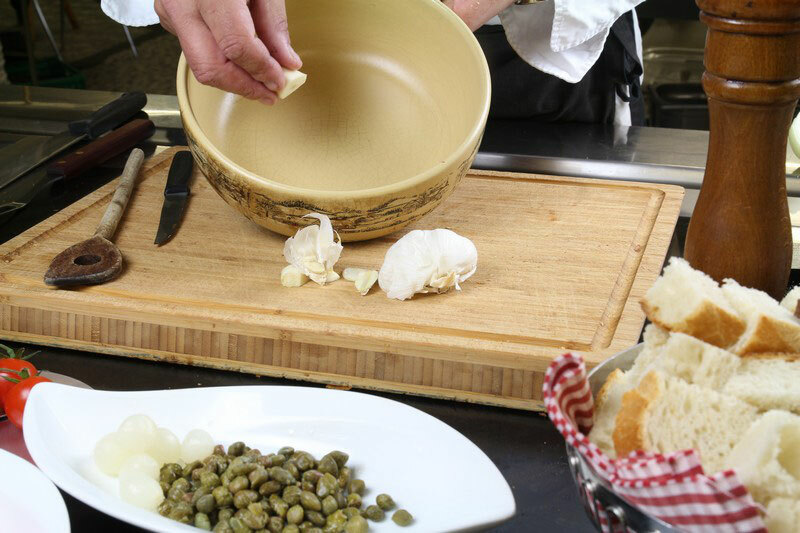 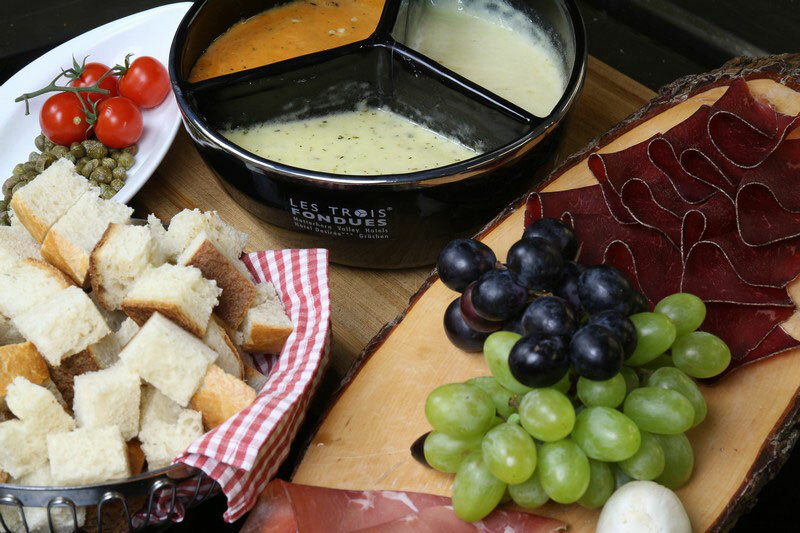 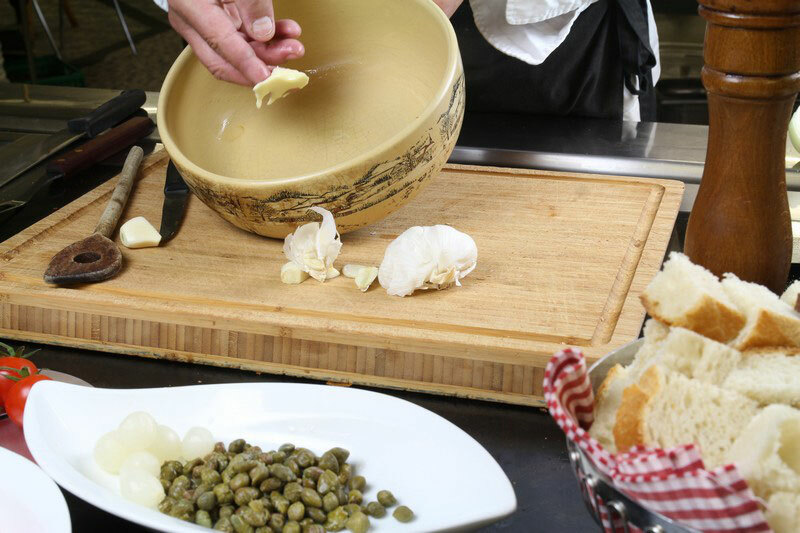 Within just a few minutes, you have created three different cheese fondues. Enjoy! 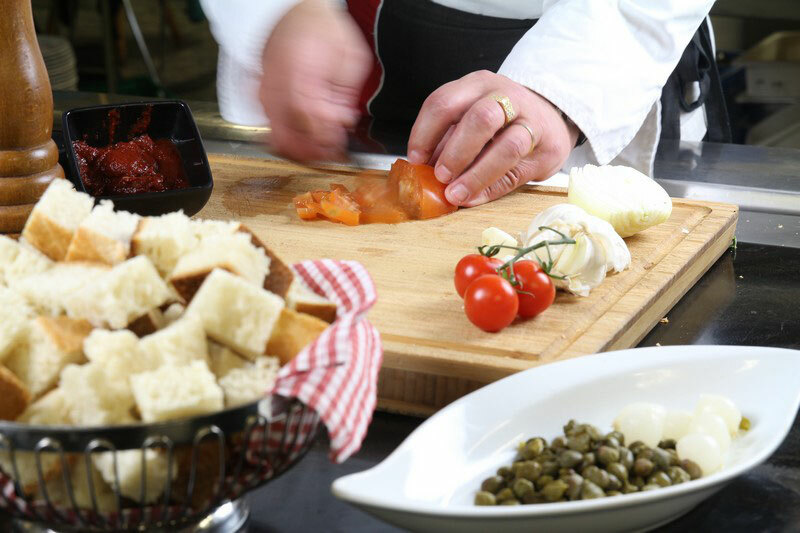 * For 4 persons, we recommend the following quantities for the basic mixture: 300 g Gruyère, 100 g Emmental, 100 g raclette cheese and 100 g alpine cheese, grated or cut into small cubes.